Brief Synopsis – The story of how toys spend their free time when humans are not around. My Take on it – I recall seeing this in the theater in ’95 and being amazed at the quality of the animation and the story. The people of PIXAR were able to create an amazing world with a new and improved form of animation. The characters they created have become so popular over the years that Woody, Buzz and their friends are still so easily recognizable. This movie has found a warm place in my heart because many of the employees of PIXAR are of my generation and this movie always triggers memories of toys from my childhood. I am so glad that Tim Allen and Tom Hanks were chosen to voice the two main characters. They were such great choices and it’s hard to imagine anyone else voicing Woody or Buzz. Bottom Line – Such a novel idea for an animated movie. PIXAR proved with this movie that they could raise the bar on the quality of animation and keep doing so even now, two decades later. Tom Hanks and Tim Allen were the perfect choices for the main characters and were able to create so many iconic characters that have become so familiar over the past 19 years. Highly recommended! 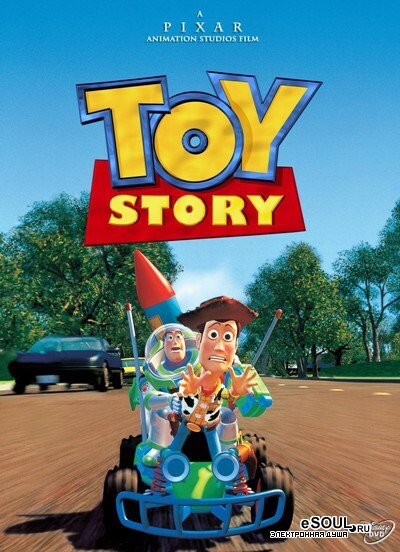 My ‘favorite’ animated movie is a tie between Toy Story and Toy Story 2. Toy Story 3 was excellent but the first two are beyond great. Yep. One of Pixar’s best for sure. 🙂 Another great idea for a milestone here, Rob!